You may have known already that aside from this financial blog I also own a beauty and lifestyle blog for frugal Pinay at izzaglino.blogspot.com The blog is mainly concerned on beauty products, makeup, OOTDs and many more that shows the other side of me. More personal too at some point. Anyhow, due to the busy schedule I still can’t come up with a new post so I decided to share the series that I’ve been doing to the other blog wherein I list the Best of the Best Products that I found out in 2014. This again is first published on IzzaGlino and I will appreciate if you drop by to that said blog of mine. 1. Nyx Single Eyeshadow in Brown. Nothing can substitute the love that I have for this NYX Single Eyeshadow in Brown. I use it on my crease, I use it to contour my nose and I use it to neutralize loud colors. I had it for a long time but I still have enough of the product. 2. L.A. Colors Perfect Curve Mascara. I highly suggest that you try this mascara. Not only is it budget-friendly but this mascara is great in creating length and curly lashes even without curling! 3. Pinkies Collection Brow Pencil. 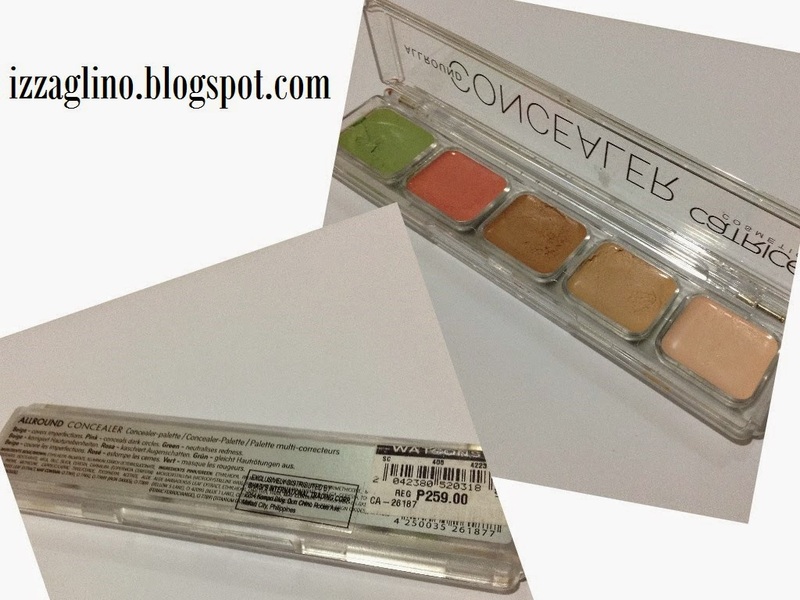 This has been a favorite of mine for its very easy to use, its long and only 99pesos! I love how this could make my brows look amazing! 4. Essence Eyeliner Extra Long Lasting. This has been the only liquid liner I bought for 2014 but this baby served me right. I love how I can create cat-eyes easily and that fact that it lasts long enough. 5. Shawill Eyebrow Kit. Speaking of brows, Shawill Eyebrow Kit has also became my companion for 2014. This is very long lasting and you can easily pull off well-made brows by just filling in the sparse areas. What I love about this more is that it comes with two shades, making you have the opportunity to choose. 6. ELF Eyebrow Treat and Tame. Of course my love for ELF Treat and Tame can never be skipped. This has a two part process, the adhesive which is the treat and the actual brow coloring which is the tame. 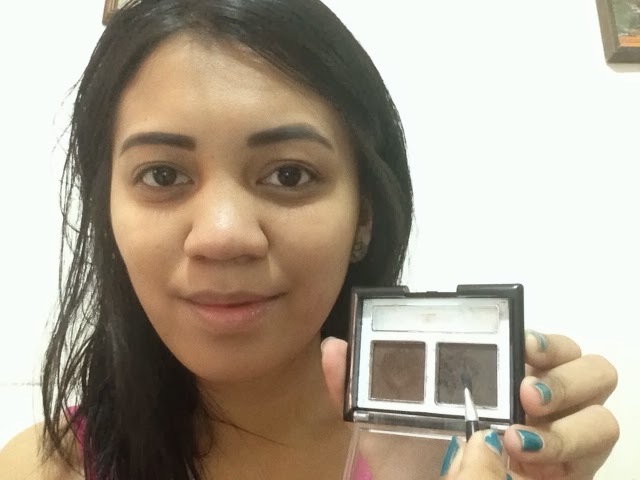 I love using this product after I applied the Shawill Eyebrow Kit. Fashion 21 Double Up Mascara– I even created a video about this product and I do truly and deeply love how this mascara makes my lashes stand out. It’s a bit of a pricey side for a local product but works wonders so I love it! Fashion 21 Single Eyeshadow in #18. I don’t really like black eyeshadow just because I find hard time blending but this single eyeshadow from Fashion 21 is so good. I love putting this over my Essence Eye liner. 4. ELF Lipstick in Lady Fair. AFter about a week that I discovered the Touch Me Cashmere lipstick, I then found out about the Lady Fair shade on ELF lipstain line and I knew this is the best combination for my favorite lipstick. It’s nice that this lip stain make my lipstick stay longer. 1. Essence Beauty Balm. If you haven’t found a beauty balm that could give you the most natural coverage ever then maybe this is the answer you’ve been looking for. The price is budget-friendly, it has SPF 15 plus very lightweight. I was obsessed with this baby for some time. 2. Naturactor. This is such a great investment! You may feel some hesitation at first because of the price but I promise you nothing can beat this product. It’s easy to use, a little goes a long way and super blendable! I can use this everyday and still don’t hit pan! I love the coverage it gives, how it smells and just the whole thing about this beauty in a jar. 5. Suesh Concealer in C210. I love this for its one of the best highlighter for the morenas. It’s very yellow pigmented and easy to blend. The product maybe too little but very powerful too. 8. 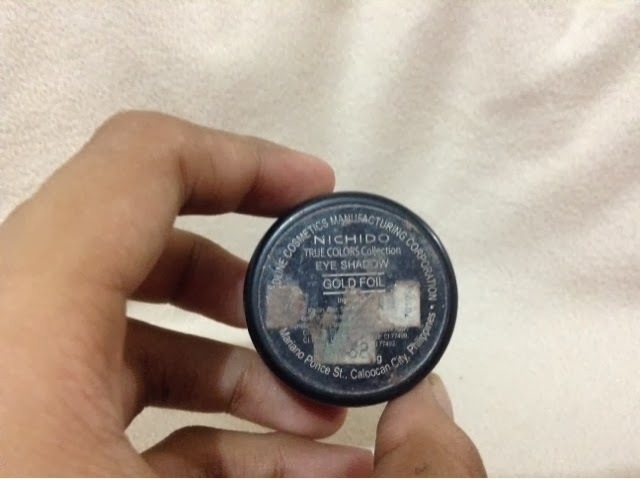 Loreal Project Runway Superblendable Blush– Can’t get enough of how amazing this blush is. The color is great and it looks natural. I love the subtle shine and highlight that it also creates. 9. Nichido Blush in Cool Rhum. There’s no denying how much I love this blush on. I used this for my clients when I do make up gigs and they too love it. I hope you enjoyed this post! Advance Merry Christmas!